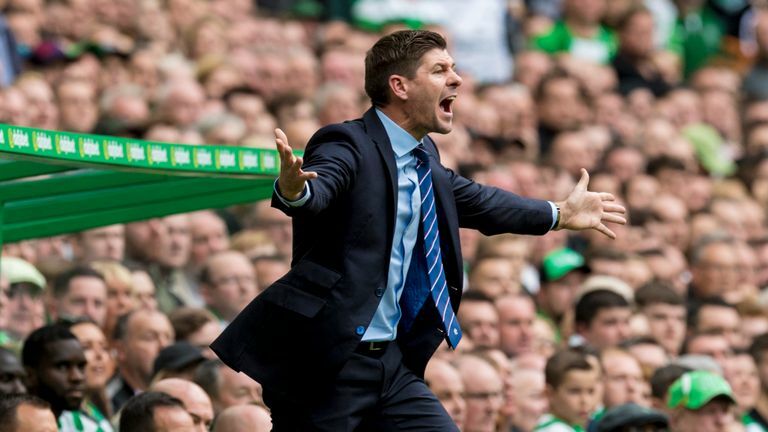 Rangers manager Steven Gerrard has refused to comment on the escalating crisis surrounding the Scottish disciplinary appeals process and the standard of refereeing in Scotland. The Scottish FA is seeking clarification from football's lawmakers on the interpretation of the red card rule after a number of disputed incidents this season. Rangers striker Alfredo Morelos had a red card rescinded to a yellow after he was penalised for kicking out at Aberdeen's Scott McKenna in the opening game of the season, while team-mate Allan McGregor did not face retrospective action after a similar kick-out against Celtic's Kristoffer Ajer two weeks ago. Aberdeen and Kilmarnock have both failed to overturn red cards shown to their players, Michael Devlin and Gary Dicker recently while Heart's Steven Naismith was not cited following a high-profile clash with Jonny Hayes of Celtic. After the Aberdeen game Gerrard said, "It seems like the world is against us", suggesting more decisions will go against Rangers this season. But speaking ahead of the game against Dundee on Saturday, Gerrard refused to be drawn on referees. "I'm not really interested in the Allan McGregor situation. I'm not interested in talking about referees or the SFA, I'm here to talk about the Dundee game," he said. When asked if he was concerned about the way officials might referee games this weekend, he replied: "Not concerned at all. I'm not here to talk about referees." Rangers are looking to bounce back from the 1-0 defeat against Celtic with improved performances against Dundee and Villarreal in the Europa League next Thursday. "The players and the squad have done extremely well and I've got a lot of praise for them," Gerrard added. "Getting European qualification was brilliant but for now it is important to prioritise the league. "Our points total at the moment is not acceptable and we really need to front the next four league fixtures to try to get maximum points. "I think the players should be bottling the hurt from the (Celtic) result. They should be confident from the second-half showing and disappointed at the first-half showing. "They should bottle the hurt from the result in that fixture and go and take it out on Dundee. "That's what good players do, they don't like losing and what they do is they go and give the manager and the fans a reaction."